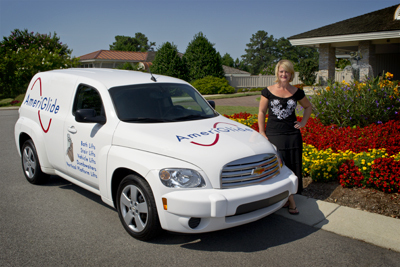 AmeriGlide is the largest stair lift and vertical lift provider in the United States. From our offices in beautiful Lexington, Kentucky, we apply our years of experience in this industry so that our customers can regain the mobility and freedom they want and deserve. Our stair lift and vertical lift team of experts are the most experienced in the country! We will be happy to help you with any questions you may have either in person or over the phone. We are dedicated to helping you solve your mobility and accessibility requirements. Below is our service area.